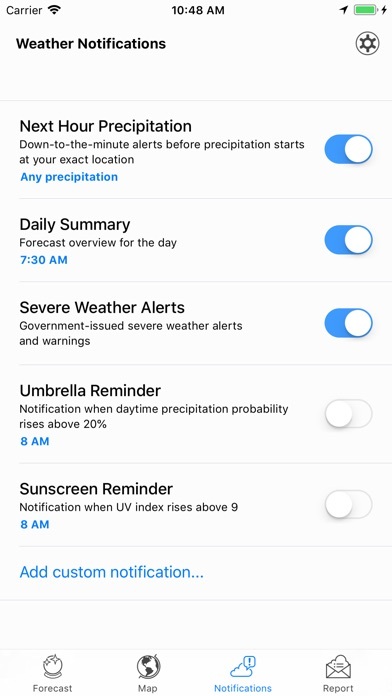 Some of the most important features of a weather app is reliability, ease of use, and accuracy. 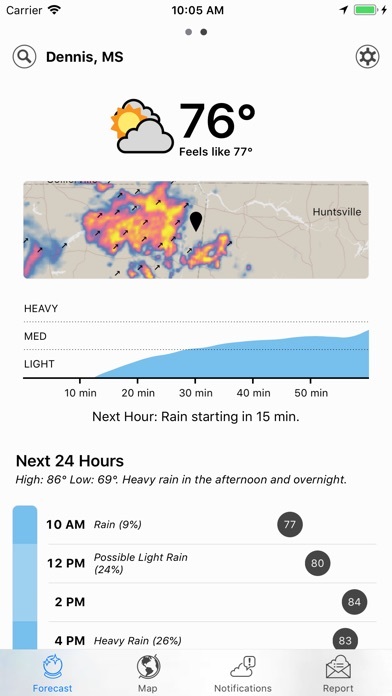 The Dark Sky app over delivers and provides you with more than enough information to make daily decisions regarding the weather. 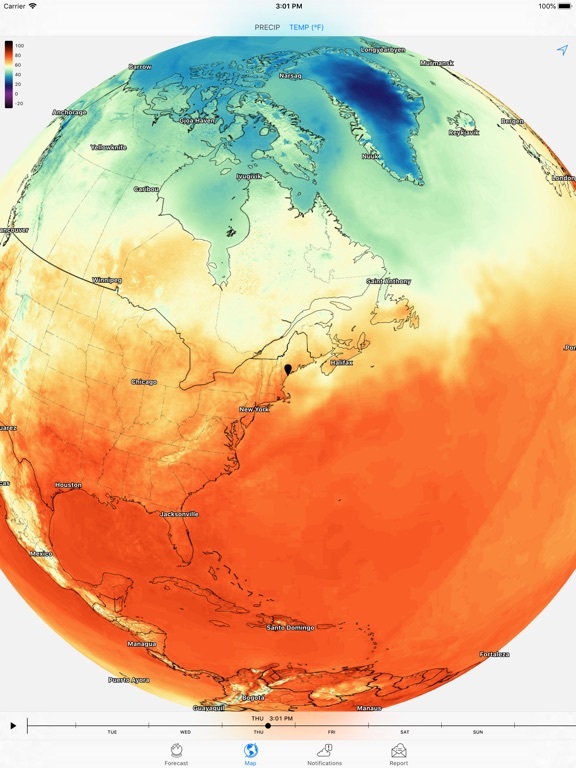 Not only is the app detailed and precise, but it displays beautiful illustrations of weather conditions. 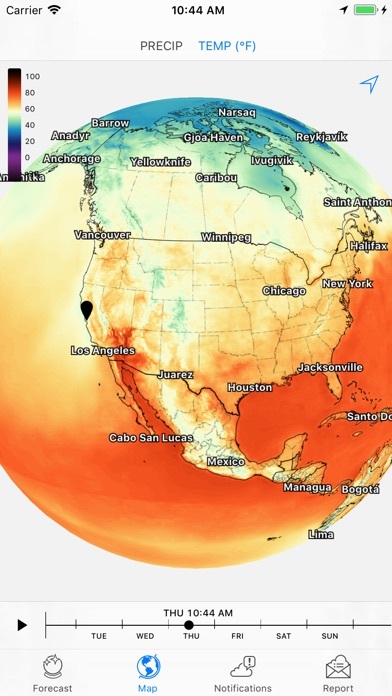 Feel free to travel through time and explore what the weather was like in the past and what it will be like in the future. 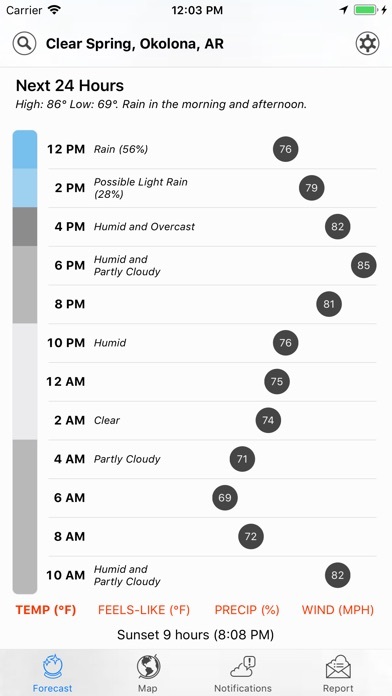 This app is available on the Apple watch, allowing you to determine the weather by briefly looking at your wrist. 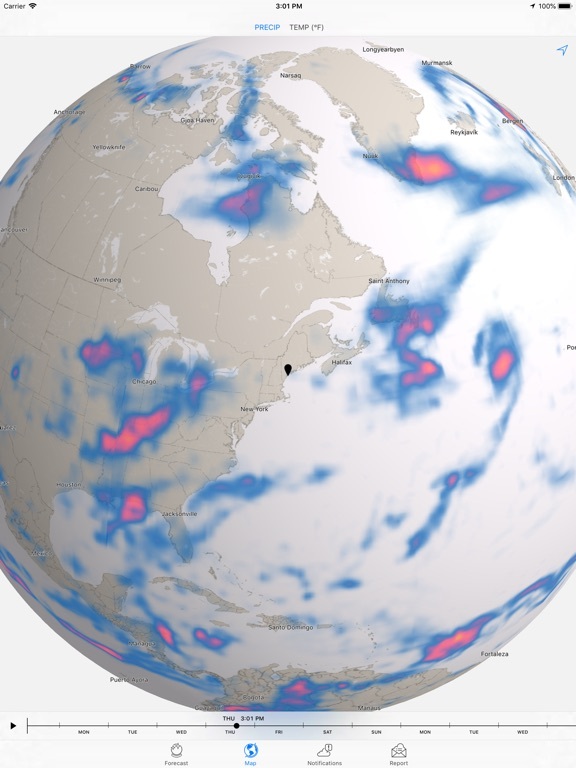 With the Dark Sky app, you can know up to an hour before it will begin to rain in your area. Knowing what the weather will be like allows you to plan your schedule efficiently and prepare for a sudden change in the weather. 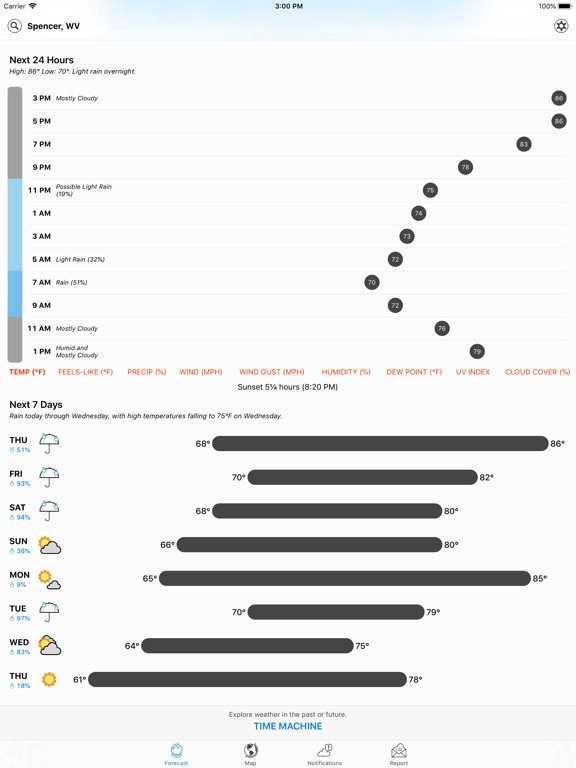 Dark Sky lets you know what the weather condition is minute-by-minute and even hour-by-hour. 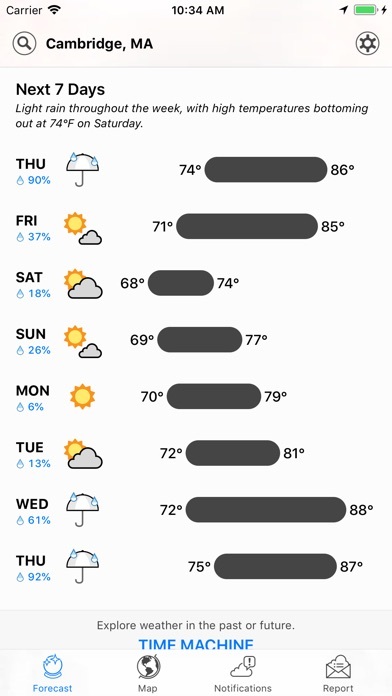 You can get the forecast for your local area for the next 7 days in advance. 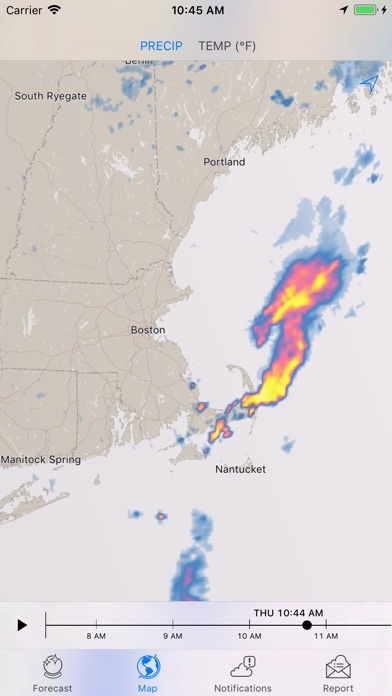 The app displays radar in a fluid and even manner allowing you to easily follow the path of the storm. The radar allows you to tell where the storm was previously and where it will be going in the future. 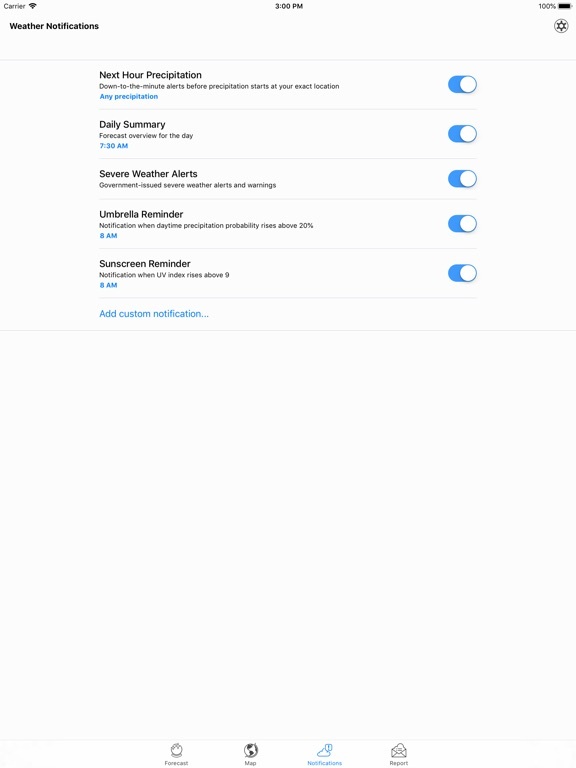 Even if you haven’t been using the app in a while, the push notification feature will alert you of weather conditions you need to know about. Know before it is about to rain in your immediate area so you can avoid the rain and stay dry. 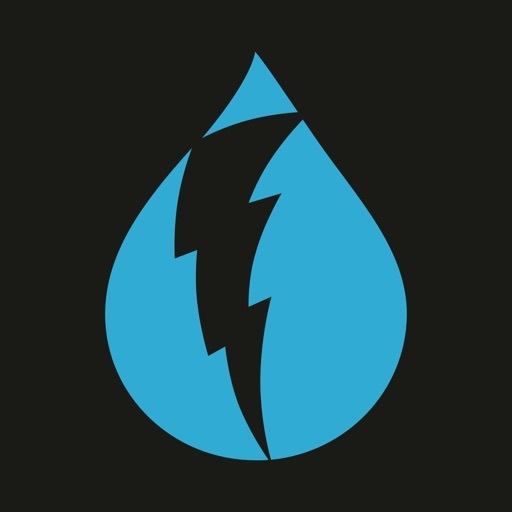 You’ll be notified through push notifications of all of the severe thunderstorm warnings issued by the government. Know about thunderstorms, hurricanes, and flooding before they occur so you can prepare as you need to. Get creative and design your own push notifications that will alert you for the next 24 hours, allowing you to keep track of temperature, precipitation, and wind. 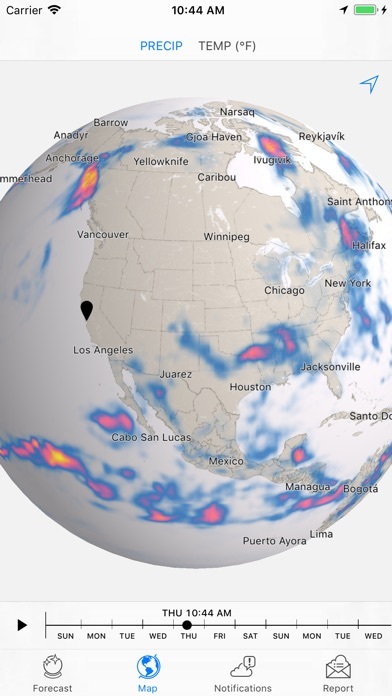 Know what is happening with the weather today, within the hour. You won’t even need to unlock your phone to be assured of what the weather conditions will be like today. 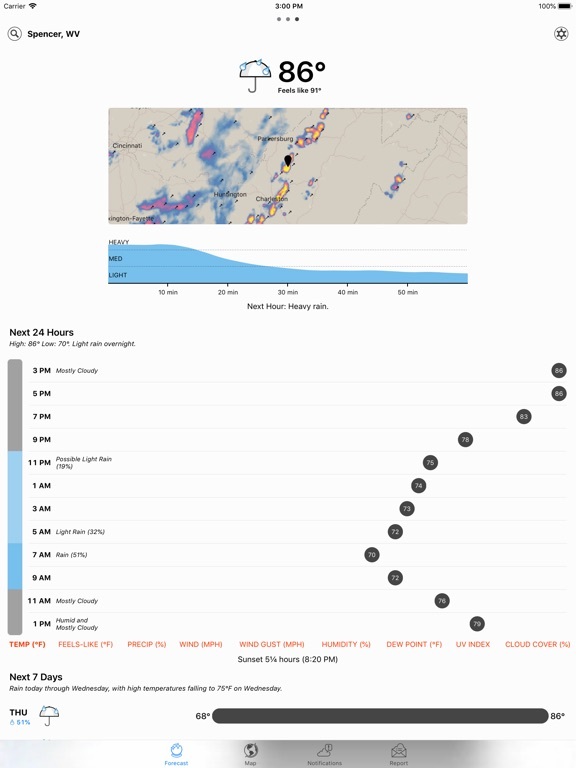 The Dark Sky App is the ultimate tool for accurately keeping track of moment to moment weather and alerting you instantly when severe weather is on the way. Engage in outdoor events with confidence, knowing that you can keep yourself dry and safe because you can be instantly notified about changes in the weather if you choose.